New Delhi: India’s largest phone firm by revenue, Bharat Sanchar Nigam Ltd, or BSNL, is increasing the purchase of so-called third generation, or 3G, phone lines eightfolds as it bets on the new data-rich service to increase its market share in the world’s fastest growing wireless market. The state-owned firm is finalizing the purchase of 93 million phone lines of which half will be rolled out offering 3G service by mid-2009, said a senior BSNL executive, asking not to be named because he is not authorized to speak to the media. BSNL plans to start offering 3G service in some of the largest cities where it operates by January by installing equipment capable of serving up to 5.75 million customers. That’s part of a contract for installing 23.5 million lines based on the GSM, or global system for mobile, technology awarded earlier in the year to telecom equipment manufacturers Ericsson AB, Alcatel-Lucent SA, Nortel Networks Corp. and state-run ITI Ltd. The 3G rollout under the contract will be completed before June 2009. BSNL hopes to leapfrog competitors and improve its market share with an early rollout of 3G service, which enables high-speed data access on mobile phones and allows users to surf the Internet or download content, including music and video, at speeds faster than those supported by current cellular technologies. The firm had about 12.82% of India’s 300 million mobile-phone user base in August this year. India, the biggest wireless market after China, is adding up to 10 million customers a month, making it also the world’s fastest growing phone services market. Operators such as Bharti Airtel Ltd, Reliance Communications Ltd and Vodafone-Essar Ltd lead BSNL in customer numbers with market shares of as much as 24.9%, 18.8% and 17.57% respectively. “The early roll-out of 3G services by BSNL well ahead of its competitors will definitely give the state-owned telco some key advantages," said Kevin Trindad, telecom analyst with brokerage KR Choksey Ltd.
“BSNL, being state-owned, is not profit-oriented and traditionally provides low-cost services in loss-making rural areas," he said. “The 3G services give BSNL a huge advantage mainly to be able to compete with the foreign players who have more flexibility than the state-owned firm. They can use the services to garner higher Arpu (average revenue per user) in the rural areas as well as from the high-end users..."
Under India’s 3G rules, private phone firms will have to participate in an auction for the right to offer the service and supporting spectrum expected to be held in January next year, which some analysts say could be further delayed. Even if it takes place on schedule, the service launch by private phone firms is not expected to take place before the summer or the third quarter of fiscal 2009. BSNL has already received a licence and spectrum rights to roll out 3G services in most parts of the country because it is one of the two state-run phone firms which by policy have to be given preference over private rivals in offering new technologies. The firm will have to match the licence fee bid by private operators that eventually win the right to offer the service. 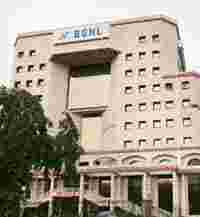 New Delhi-based BSNL, which also runs some 30.44 million fixed-line phones and broadband services, expects mobile number portability, or MNP, a facility that will allow customers to migrate their connection from one phone firm to another without changing the number, to help it gather customers for its 3G service. MNP is expected to be introduced in India by mid-2009. MNP will help BSNL sign up high-spending customers who do not want to wait until later in 2009 when private phone firms roll out their 3G services, the senior BSNL executive said. “We entered the mobile market in 2002 when most of the high-end users had already been taken by the private telecom firms like Airtel and Reliance," he said. “The high-end users will be the first to experiment with 3G services and will migrate to BSNL due to our first mover advantage." Such an advantage could be substantial, a Mumbai-based analyst said. “Even without MNP they are launching a nationwide urban network (that) will help immensely in retaining higher end subscribers and attracting newer ones. And the launch of a new service also helps in getting higher (customer billings)," said Sourabh Kaushal, analyst with research firm Frost and Sullivan.